All of these were made this week! It's been very busy around here! 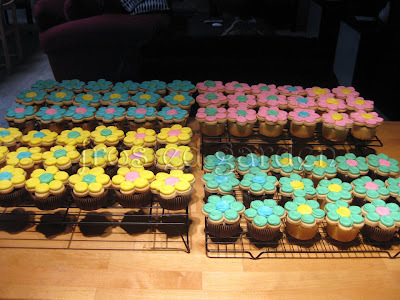 These were my little creation for the Mother's Day Tea up at school (MDO). I'm calling them "cup-cookies." I'm sure you can infer from the name that they are both a cupcake AND a cookie! Bonus! 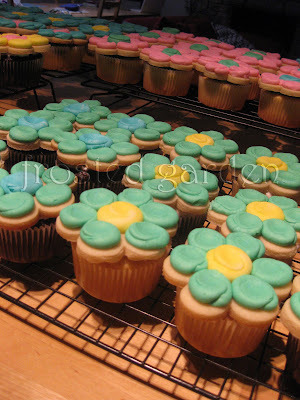 I loved the way these turned out and they were pretty yummy, too! 75 in total! 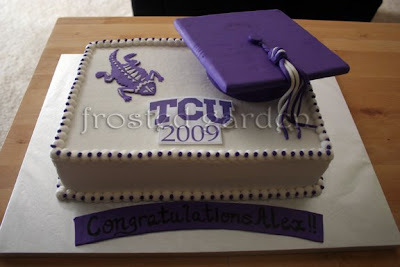 The next cake on the doc this week was for a TCU graduate. Similar design as the one I did a few months back with a few updates! 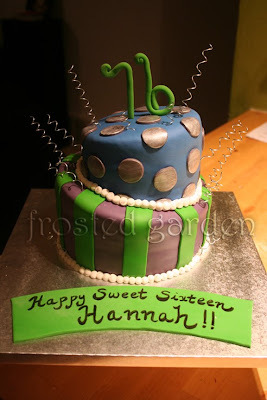 This sweet 16 cake was made with very specific color instructions! I'm pleased with the way it turned out though I do wish I had added something to the tops of the floral curls. Maybe some stars or balls, I don't know, something! 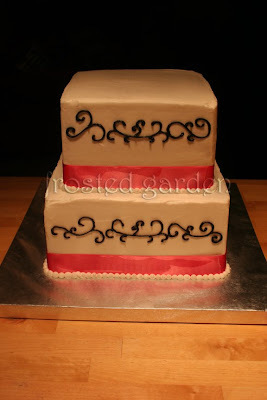 The last cake this week was for a wedding. Super cute colors! BTW, it's getting to be that time of year around here when the heat and the humidity start affecting everything we do. This cake was my first clue! Difficult at times but I'm pleased with the way it turned out! Busy week! Can you believe next week is going to be even busier?? these are amazing. i so enjoy seeing your creations. The icing on the cookies is that fondant or BC? 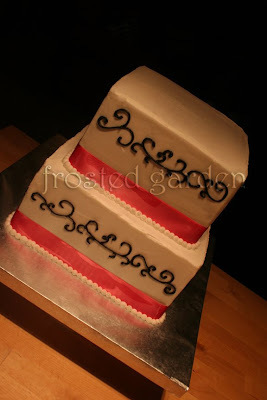 buttercream! so time consuming! cute though.